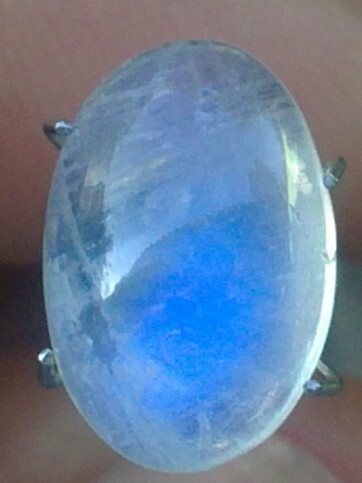 This beautiful gemstone displays a nice play of color called adularescence. 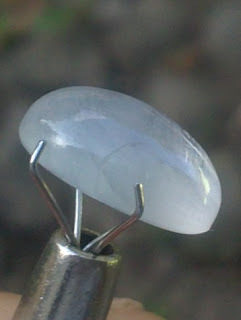 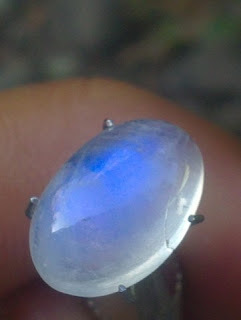 This is a natural Moonstone Feldspar with a nice blue phenomena. 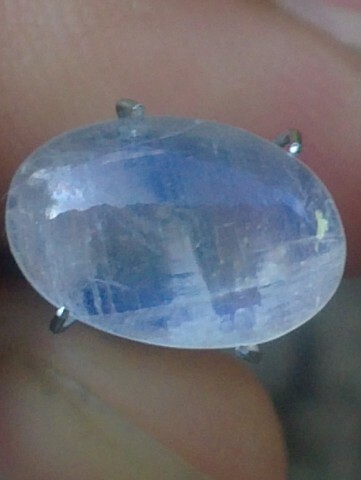 The dimension of the gems is 12mm x 8mm x 5mm. A nice blue gemstone phenomena! 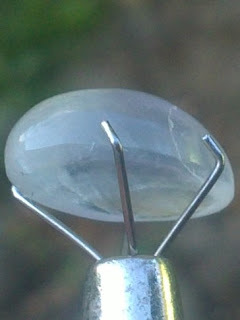 Natural Moonstone Feldspar "Biduri Laut"!